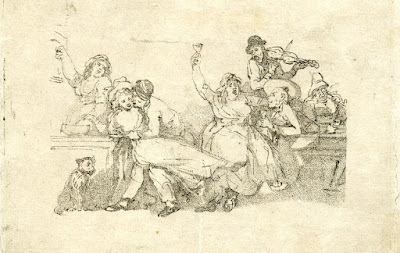 A tavern scene, Thomas Rowlandson, 1786, British Museum. Rowlandson's sketch depicts a raucous tavern. 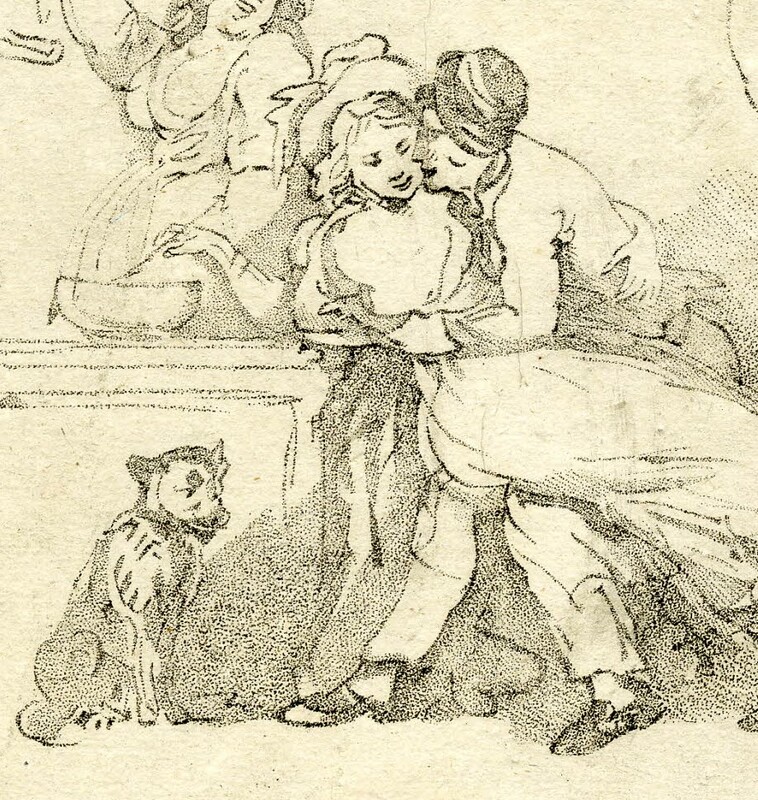 Perhaps this is the same tavern that he would later illustrate being raided by a press gang. Among the revelers is a sailor embracing a woman who reaches for the punch ladle. He wears a cap or round hat atop his head, a pair of trousers that end above the ankle, and a jacket that ends just below the waist.